This article will go over everything you need to know for BUSS 3 Business Studies A2 about Operations Management being network diagrams, nodes, critical path analysis, how to draw a network diagram, the rules for drawing networks, float in networks and pros and cons of network diagrams. Feel free to skip to the parts most relevant to you. 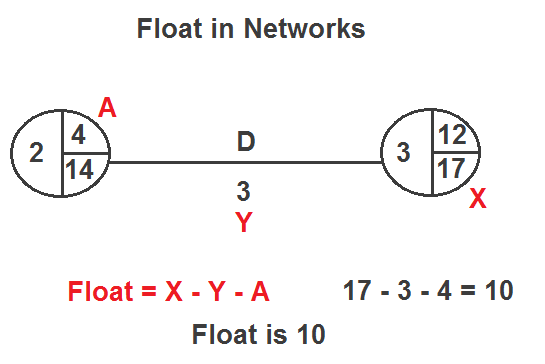 Network diagrams are used to show how a large project or task can be broken down into a logical series of sub tasks. Start with Node 1 on the left hand side. Look at the list of tasks and draw on lines with no dependency e.g. A, B and C. Don’t put nodes on the end of each line yet. Look at the list to see the dependency of the next task. Draw on the new node ( link up any previous activity lines). Draw on next activity. Go back to Node 3 + 4 and continue to draw the network. When all activities are on, draw and finish node and link up any remaining activities to this node. Put in ESTs (earliest start time). Start on the left hand side (Node 1). Remember, EST of Node 1 = 0. Next, EST = Previous EST + length of the activity. If two or more activities meet at a node, take the highest value. Put in LFTs (latest finish time). Start on the right hand side at the final node. 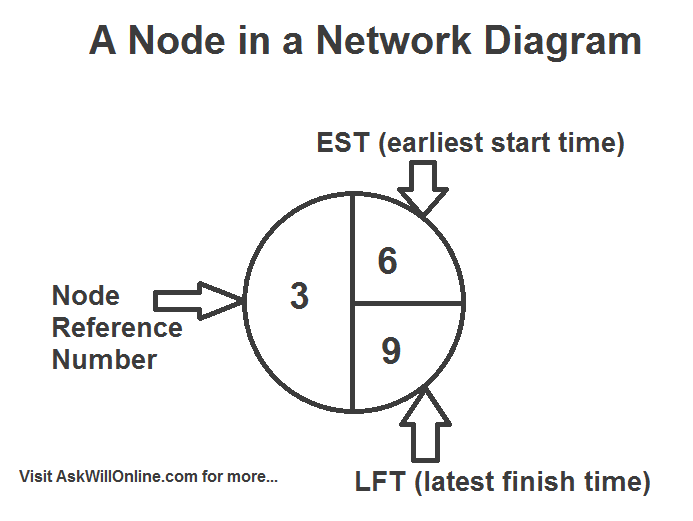 Remember the EST of the final node always equals the LFT of the final node. Work right to left filling in missing LFTs. Next LFT = Previous LFT = length of activity. If two or more activates meet at one node, take the lowest value. Identify the ‘Critical Path’. This is the path of activites where there can be no delay (where EST for every node = LFT). Label the network to show critical activities by putting two dashes on the activity lines of critical path or ‘state’ the path e.g. the critical path = C, F.
Float is the maximum delay on one activity if there isn’t any delay on any other activities in the network. It is the possible delay on non-critical activities. Planning – you can identify all the sub tasks necessary to complete. Identify ‘critical’ activities and also the activities where ‘float’ exists. Set deadlines to work towards completion of sub tasks and final deadline. Helps plan ordering of stocks/materials or equipment. Helps cash flow. A network can help solve problems that arise during a project. It takes time to produce (which will cost). Is the network necessary? Is the task obvious or simple? Can become very complex therefore could be misinterpreted. Reliability of data e.g. time scales… Who has produced the network? Are they biased? Threat of external factors that could cause problems such as weather. Network analysis and critical path is often necessary as a planning tool. But, on it’s own, it isn’t sufficient to guarantee success. It needs to be reliable, accurate and implemented well and managed efficiently. Thanks this info was really helpful! I used a website called Lucidchart to create my own business network diagram and it was really easy to understand. If you use diagrams often you should check it out!